Happy Holidays from Vitrum Glass Group! 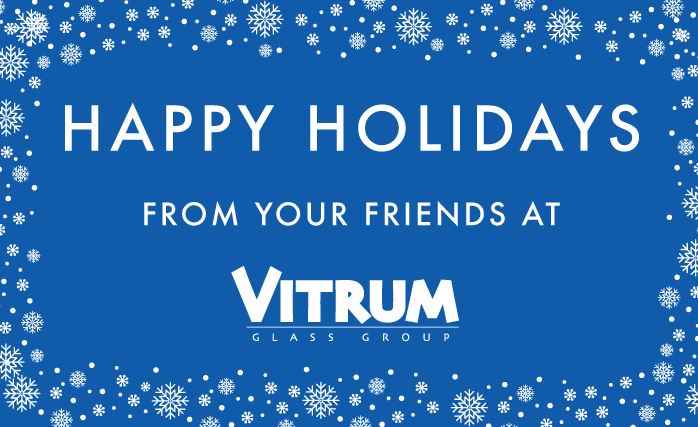 Happy Holidays from all of us at Vitrum Glass Group! We will be closed Monday December 25th , Dec 26th, , and January 1st. Thank you for your business in 2017 and we look forward to continuing our partnerships in 2018.